Filmmaker Stanley Kubrick (1928-1999) would have turned 90 this coming Thursday, July 26, 2018. Known for such works as PATHS OF GLORY, DR. STRANGELOVE, 2001: A SPACE ODYSSEY, A CLOCKWORK ORANGE, THE SHINING, FULL METAL JACKET and EYES WIDE SHUT, he began directing features in 1953, but started working as a photographer doing human interest stories for Look Magazine eight years earlier while still a student at Taft High School in the Bronx. 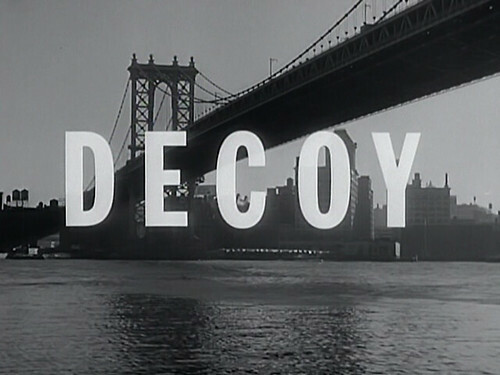 He eventually directed three documentary shorts, the first of them, “Day of the Fight” (1951), based on a photo story about a boxer he’d done a couple of years earlier. 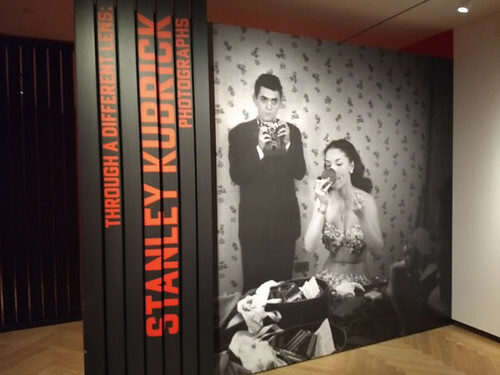 The Museum of the City of New York is currently offering an exhibit of Kubrick’s early photographs under the title, “Through a Different Lens: Stanley Kubrick Photographs,” which runs until October 28, 2018. The exhibit gives us a chance to see what interested Kubrick in his formative creative years and how he chose to frame it. 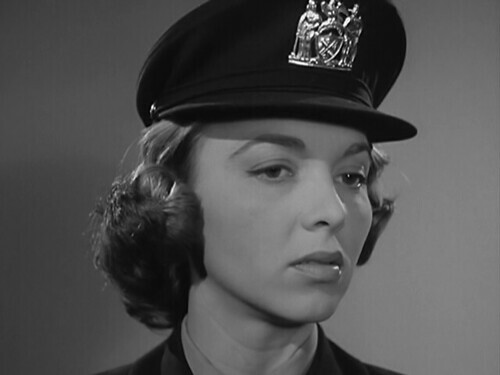 It also looks forward to his first “real” movie, KILLER’S KISS (1955), which he made on a shoestring on New York locations, drawing on his experience as a street photographer. 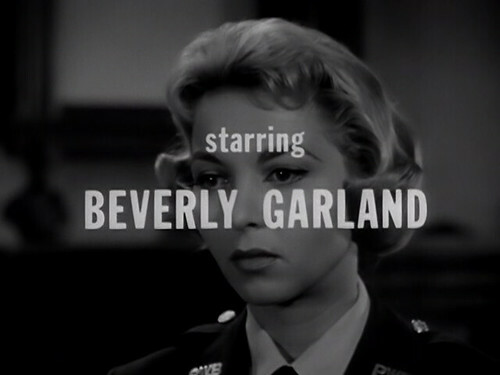 He then went to California to make THE KILLING, a full-fledged Hollywood crime thriller with a cast of name actors (topped by Sterling Hayden) and the rest, as they say, is history. Last month I watched three films on Turner Classic Movies that made think about the relationship of music to movies and music to audiences. 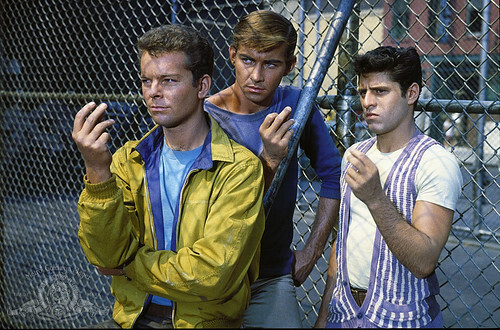 What struck me about all three films was the way music was part of the fabric of the society portrayed and played an integral role in community life. 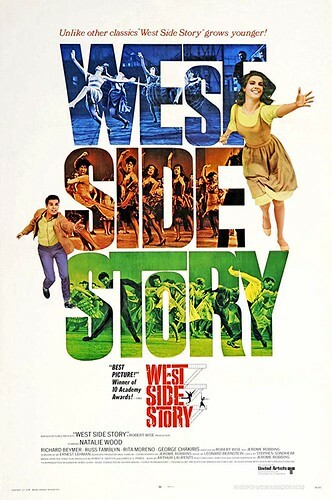 In two of the films and most of the third, the music is presented as performances in places and venues where it made perfect sense to perform songs and instrumental musical pieces. 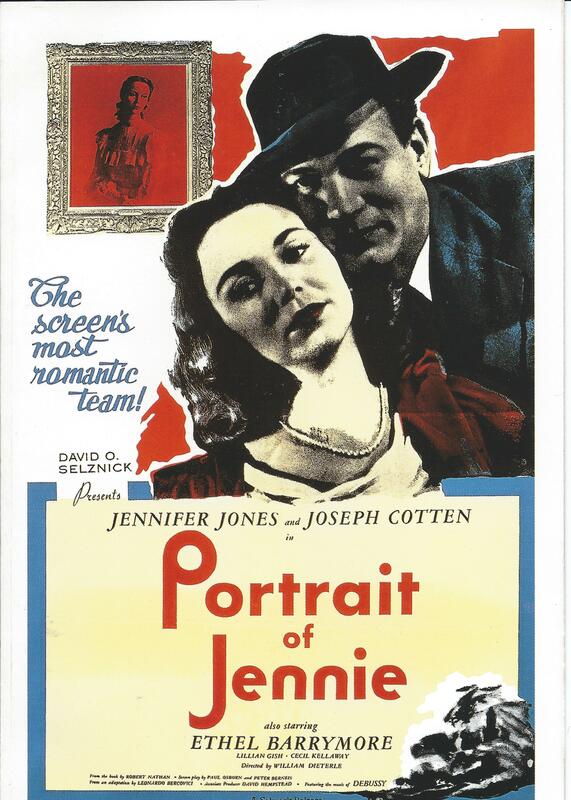 Only one of the films, IT HAPPENED IN BROOKLYN (1947), directed by Richard Whorf, featured people breaking into song amidst the settings and activities of everyday life, although this only happens two or three times in the movie. 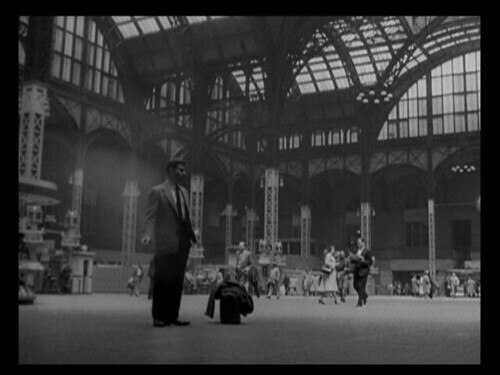 Every other number in the film is a performance number in places where it was perfectly logical to perform music. 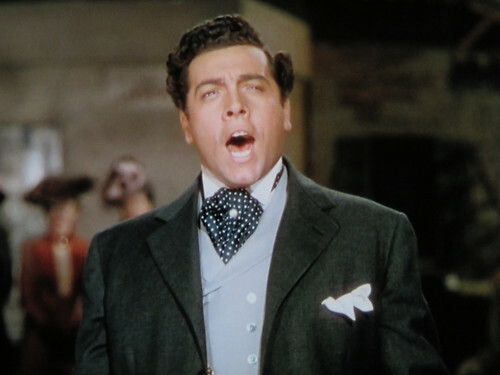 The other two films starred the great American tenor Mario Lanza: THE GREAT CARUSO (1951), directed by Richard Thorpe, in which Lanza played opera legend Enrico Caruso, and SERENADE (1956), directed by Anthony Mann, a grand melodrama based on a novel by James M. Cain about an opera singer’s rise, fall and rise again in contemporary America. One can make the case that THE GREAT CARUSO and SERENADE are not, strictly speaking, musicals but instead are films about music. I recently picked up a used 2-disc set containing THE FRENCH CONNECTION and various extras, including two documentaries on the film, deleted scenes, and separate audio commentaries by stars Gene Hackman and Roy Scheider and director William Friedkin. 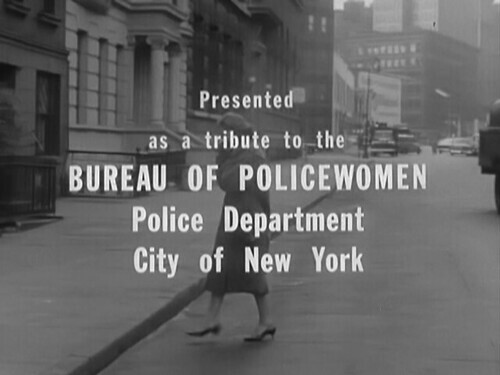 First, I re-watched the film for the first time since seeing it on cable sometime in the 1990s. I then went through all the extras. But before I get to my reevaluation, a little history is in order. Richard Widmark would have turned 100 this coming Friday, December 26, 2014. He died only six years ago on March 24, 2008, at the age of 93, having outlived 95% of his co-stars from the Golden Age of Hollywood. (Kirk Douglas, Sidney Poitier, Robert Wagner and Doris Day are among the few who have outlived him and are still with us. Lauren Bacall outlived him by six years.) 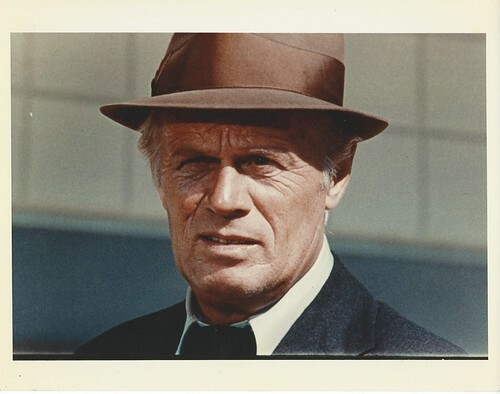 Widmark had a solid career as a leading man in Hollywood from the late 1940s to the early 1970s before turning to character parts (and the occasional TV movie lead) in the 1970s to early ’90s. 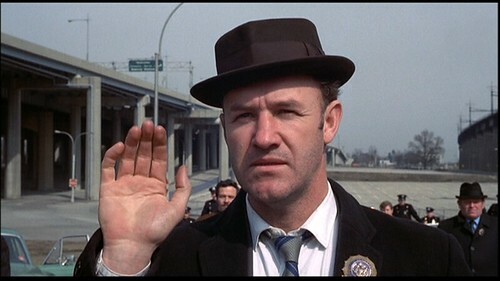 His last movie role was in TRUE COLORS (1991) and his last TV role was the male lead in COLD SASSY TREE (1989).